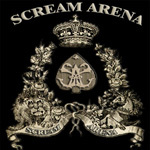 Scream Arena was created by singer and songwriter Andy Paul in response to what he believed was a lackluster rock scene in the UK. To the point, Paul stated, 'We are so tired of Smiths retreads and rewatered workings of The Clash being sold to us as the future of rock music.' Sounds good to me. Things really came together for the band when successful musician and producer Paul Sabu came on board to guide the band through the recording of this eponomyous debut album. With Sabu in picture and behind the knobs you can count on a significant wall of sound in precise arrangements where the rock groove is deep and upfront. For Scream Arena, this approach is applied to classic melodic hard rock with a bit of a metal edge thrown in. As much as they want to eschew modern conventions, Scream Arena looks back into the late Eighties for their sound. The result is songs with strong melodies, solid vocal arrangements, a rich rhythm section, and smart, often soaring, guitar solos. Andy Paul has an interesting and appealing voice, rock urgency and rawness at times, yet delivered with suspicious smoothness. A song like the bonus track Heart of Rock, a smart rocker, has more of the former, Queen of Dreams more of the latter. But often it simply mixed together as with The Price of Love, another crankin' rocker. Alternatively, on House of Pain, likely the heaviest number here, Paul and company can be even a little horror film grizzly, yet still smooth, in presentation. And all these songs are terrific examples of both the Sabu wall of sound enveloping all things, but also focusing on singular lines like the vivacious guitar solos. Other notable songs taking into account these many attributes are Knave of Heart, something that develops a more AOR melodic rock feel, and Forever which seems to be driven more by the guitar line and riffage than anything else. But, ultimately, in light of the whole and the production in particular, that's probably to simplistic an observation. Finally, Scream Arena tackles a cover of the Elvis Presely hit Heartbreak Hotel making it heavy metal and nearly decimating the familiar melody. It's definitely not your Elvis' Heartbreak Hotel. Listen below. 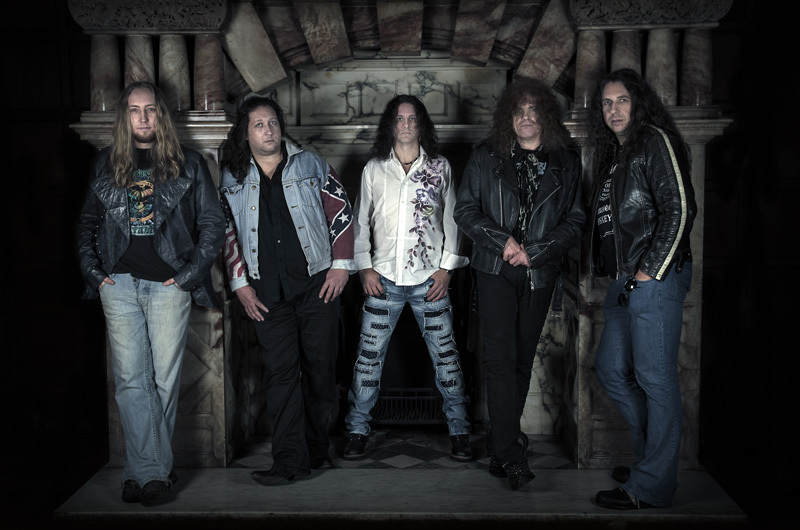 Scream Arena's debut is a strong effort of traditional melodic hard rock and metal, filled with some great songs, good musicianship, and fortified by good production. Makes you wonder how well they'll follow it up. Recommended. Scream Arena's debut is a strong effort of traditional melodic hard rock and metal, filled with some great songs, good musicianship, and fortified by good production.